It’s November, which means it’s time to start thinking about Thanksgiving Dinner. (And no, it’s not too early to start planning. It’s never too early to think about delicious stuff we can stuff into our faces.) Turkey remains the traditional star of the feast (there’s a good reason why we affectionately call the holiday “Turkey Day”), and I never get tired of making—and eating!— Butterflied Big Bird. 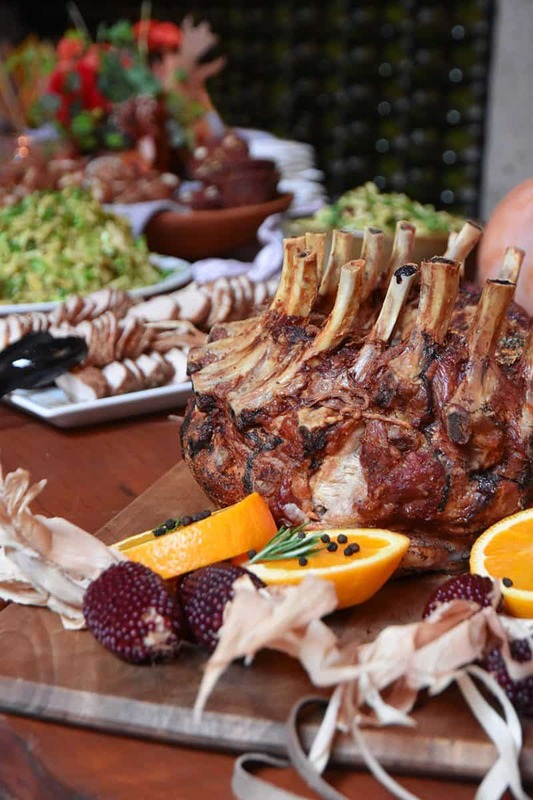 But if you’re sick of Thanksgiving turkey, I’ve got just the thing: Magic Crown Roast of Pork. 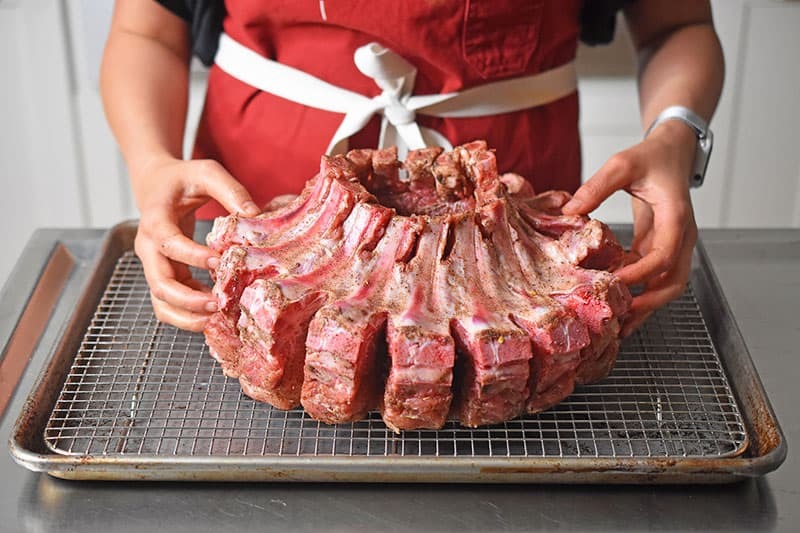 This fancy-schmantzy meat-tastic centerpiece will elicit plenty of oohs and aahs when you bring it to your Thanksgiving table—and you won’t even need to tell your guests how easy it is to make! The two secrets to success? My Magic Mushroom Powder seasoning and J. Kenji Lopez-Alt’s reverse-sear technique, which will help you cook your pork to the perfect temperature! 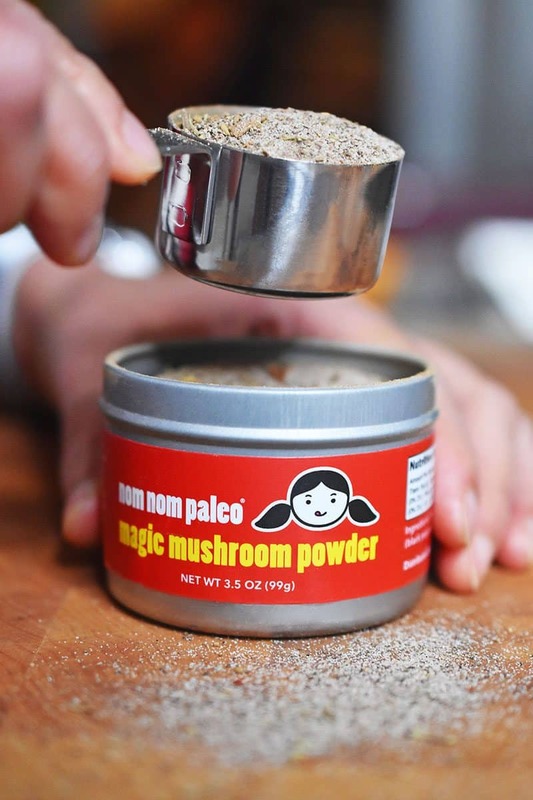 If you’re a long-time Nomster, you know that my Magic Mushroom Powder is an umami-packed seasoning salt that I created using pulverized dried porcini mushrooms, salt, thyme, and pepper. The recipe can be found in our first cookbook and on this blog, and I use it in place of salt in many savory dishes. Best of all, it pairs perfectly with roast pork. Bonus: For those of you who are feeling too lazy to whip up your own batch of Magic Mushroom Powder, you can buy little tins of my ’shroomy seasoning salt at select Whole Foods stores this holiday season! Note: If your hunk of meat is a different size than the 10-pound roast specified below, simply adjust the amount of Magic Mushroom Powder you use. 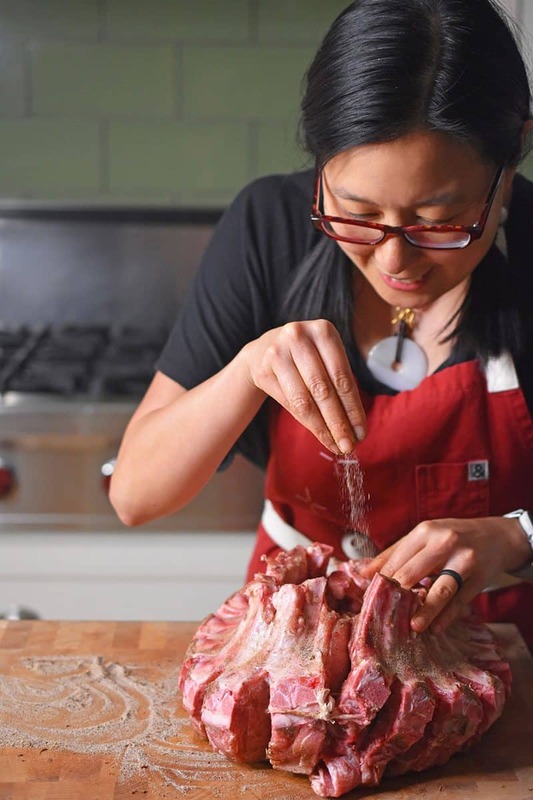 Here’s the formula: For every pound of pork, season with about ¼ tablespoon (or ¾ teaspoon) of the powder. 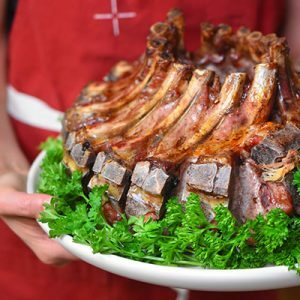 For example, an 8 pound crown roast will require about 2 tablespoons of Magic Mushroom Powder. Okay—time to pretend that you spent hours slaving in the kitchen instead of filing your nails as you watch the latest televised shenanigans of your favorite real housewives! Pat the roast dry with paper towels. Sprinkle the Magic Mushroom Powder all over the meat, getting in all the nooks and crannies. 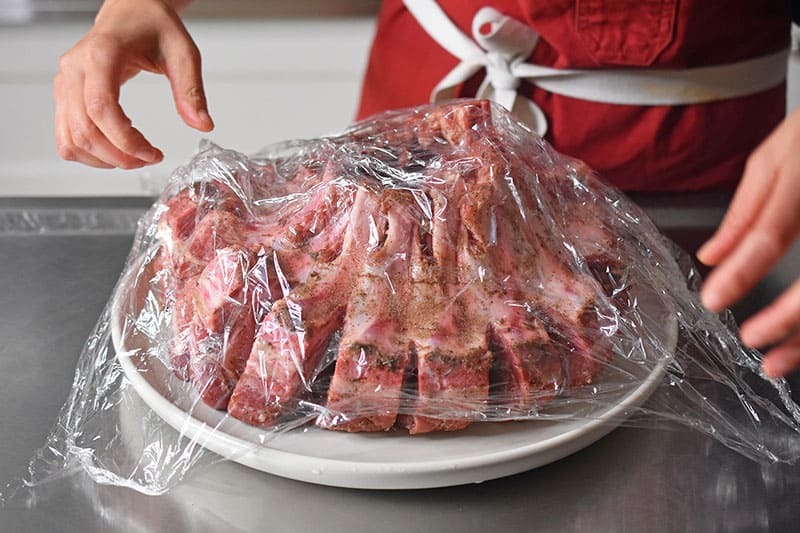 You can keep the seasoned roast in the refrigerator, lightly covered in plastic wrap, for up to 3 days before you cook the pork. 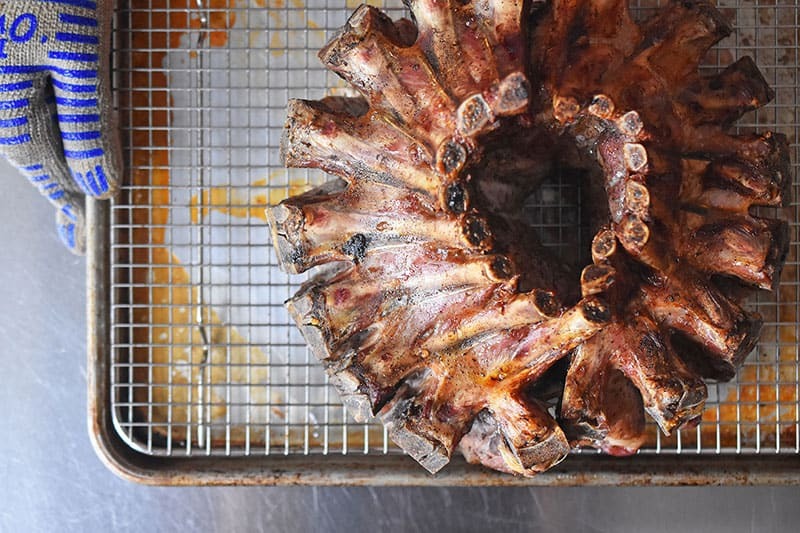 When you’re ready to cook, set the oven to 250°F with the rack in the middle position. 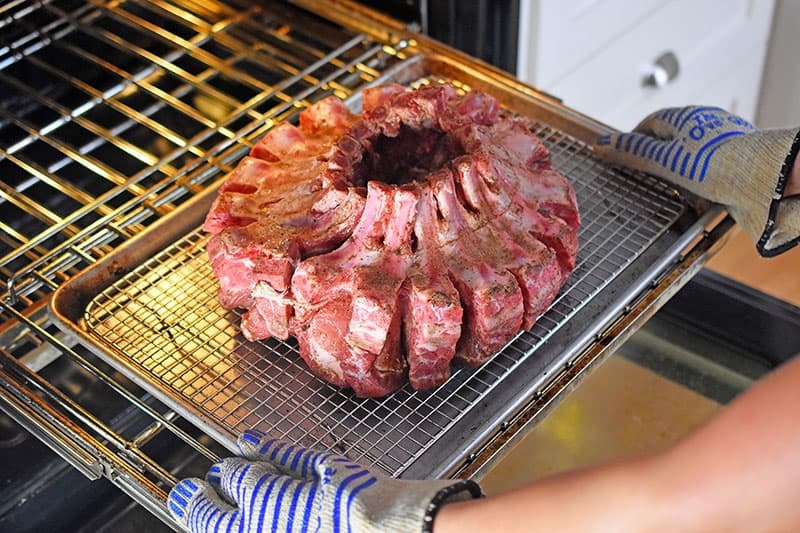 Pat the pork dry with paper towels, and place the seasoned roast on a stainless steel wire rack on top of a rimmed baking sheet. Pop it in the hot oven. 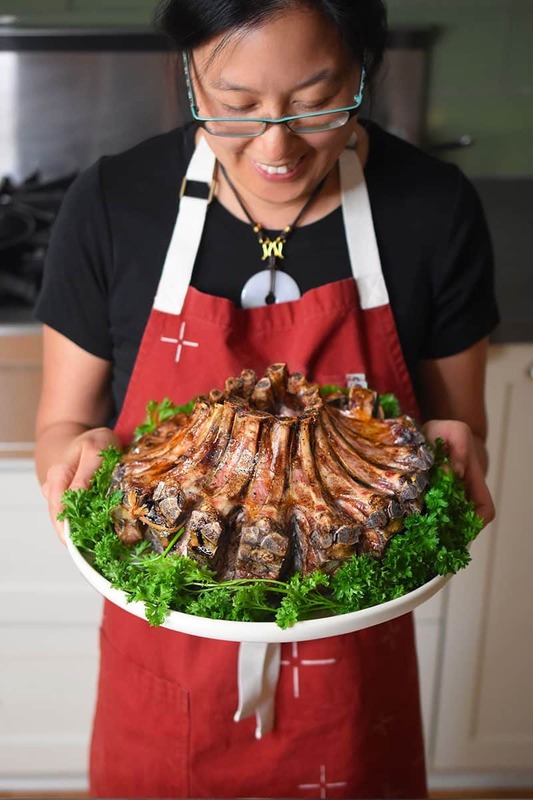 Cook the pork crown roast for 2 to 2½ hours or until the center of the meatiest part registers 140°F on an instant-read thermometer. 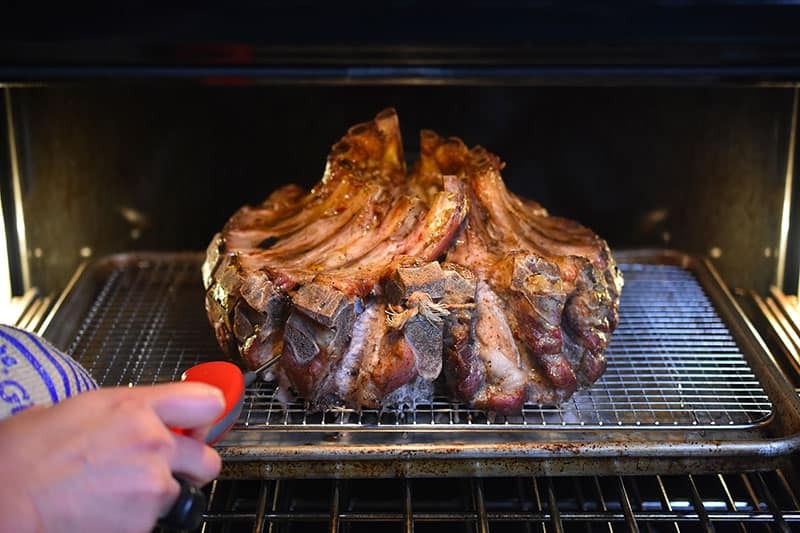 Take the pork out of the oven and crank up the oven to broil. 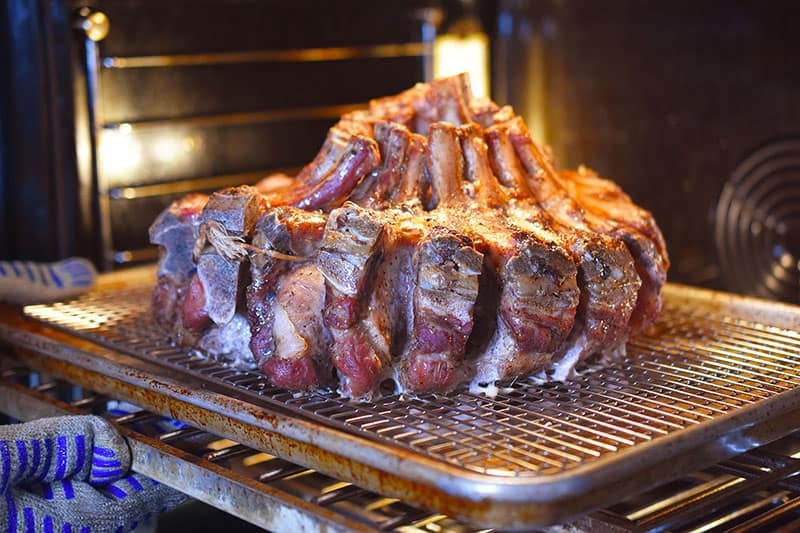 Once the broiling element is hot, place the roast back in the oven and broil the roast until golden brown, about 10 to 15 minutes. Rotate the roast a couple of times during the broiling process to make sure the roast is evenly browned. When the roast is ready, take it out of the oven and let it rest for at least 20 minutes. 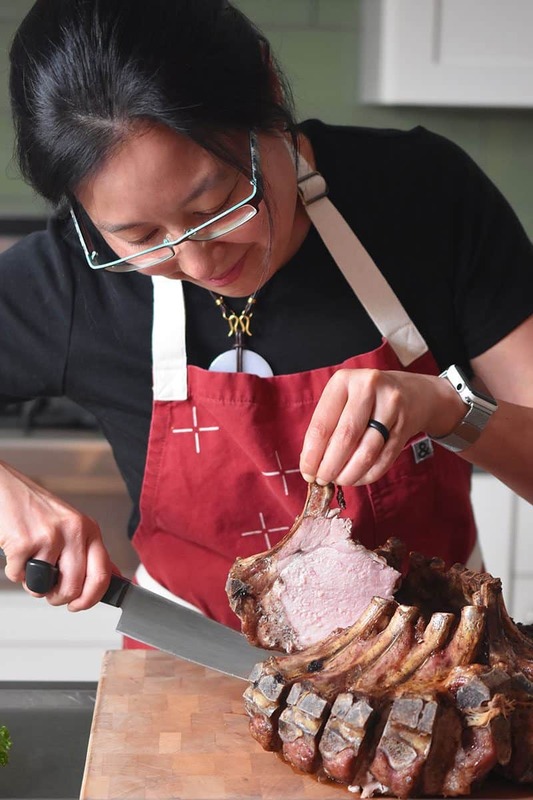 …or just slice in between the bones and serve as individual chops. Dig in! Psst! 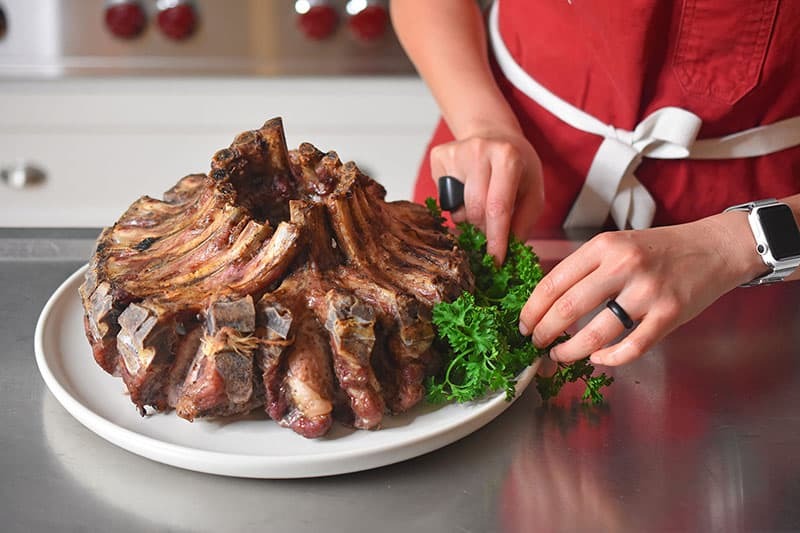 The whole point of making a crown roast is to show it off before slicing it! Psst! This recipe is included in my newly updated FREE Nomtastic Thanksgiving e-book for subscribers to my weekly email newsletter! 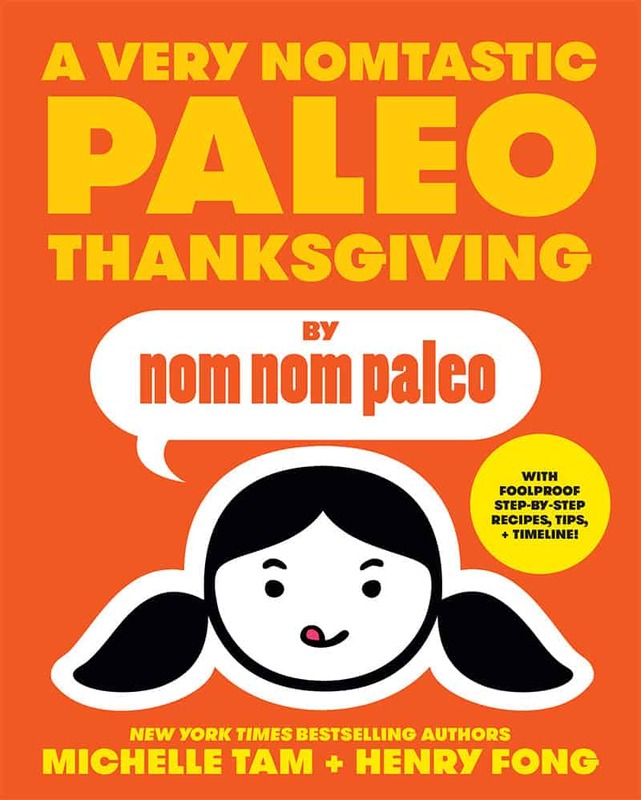 If you haven’t already subscribed, do it now, and you’ll get access to a complete Paleo Thanksgiving primer featuring step-by-step recipes, a shopping list, countdown planner, and more. 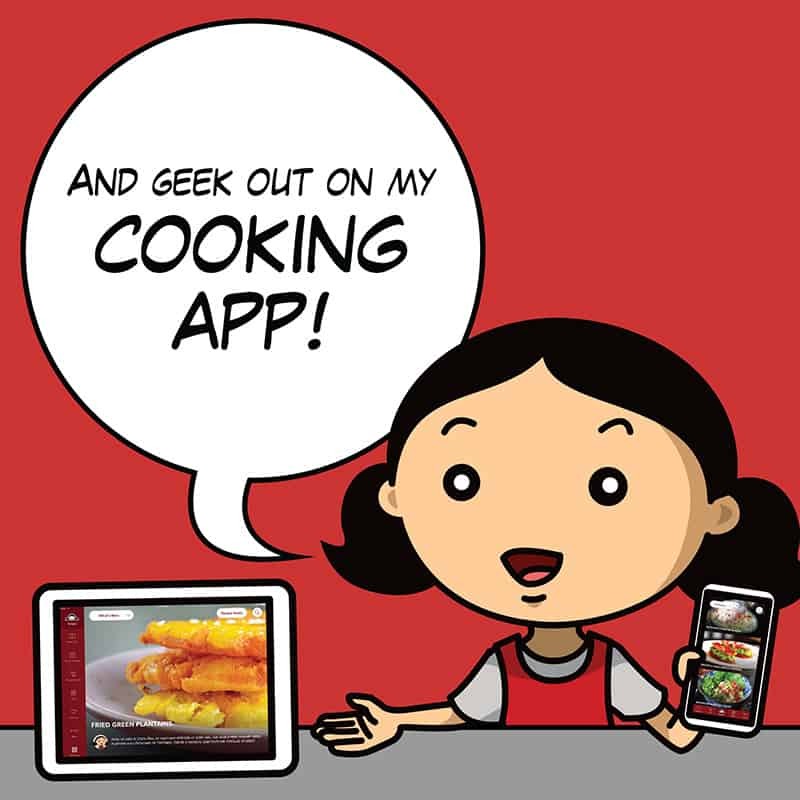 And if you’re already a subscriber, check your emails (including your Promotions and Junk folders if you don’t see it right away) for a downloadable link to the e-book! Tired of turkey? This fancy-looking meaty centerpiece will elicit oohs and aahs when you bring it to the Thanksgiving table—and you won’t even need to tell your guests how easy it is to make! The two secret weapons: my Magic Mushroom Powder seasoning and J. Kenji Lopez-Alt’s reverse-sear technique to cook your pork to the perfect temperature! Plate and garnish with curly parsley or just slice in between the bones and serve as individual chops. Dig in! 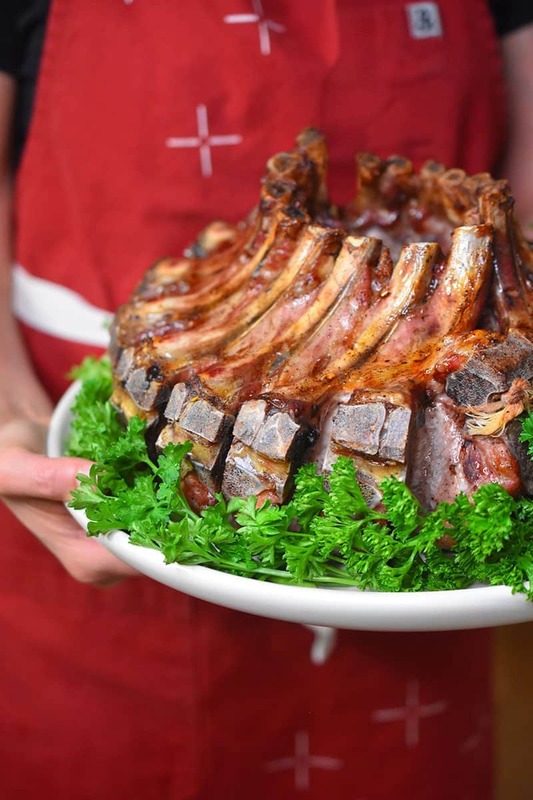 Most butchers and grocery stores will carry crown roast of pork for the holidays. Any other time? Call a few days ahead to pre-order it.